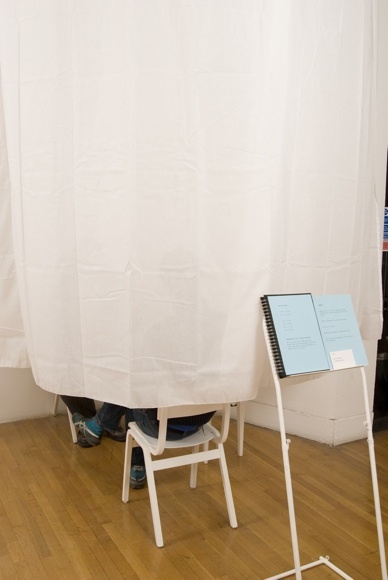 The viewer enters the curtained space and encounters the artist sitting opposite an empty chair. When the viewer sits down, the artist starts a timer that is on a side table. The timer counts down one minute. During this minute, the artist and viewer lock gazes. 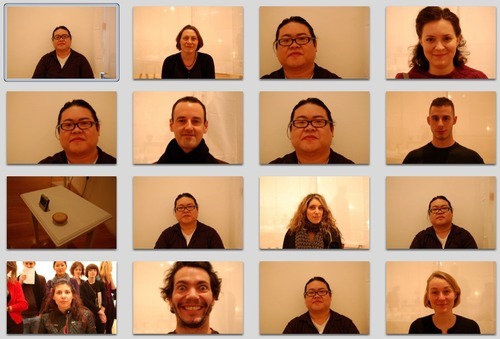 When the timer rings, the artist hands a camera to the viewer, who takes a photograph of the artist, and hands it back to him. The artist then takes a photo of the viewer. The viewer exits. Beside the curtained area is a one minute looped video of the artist smashing a large unfired clay pot.